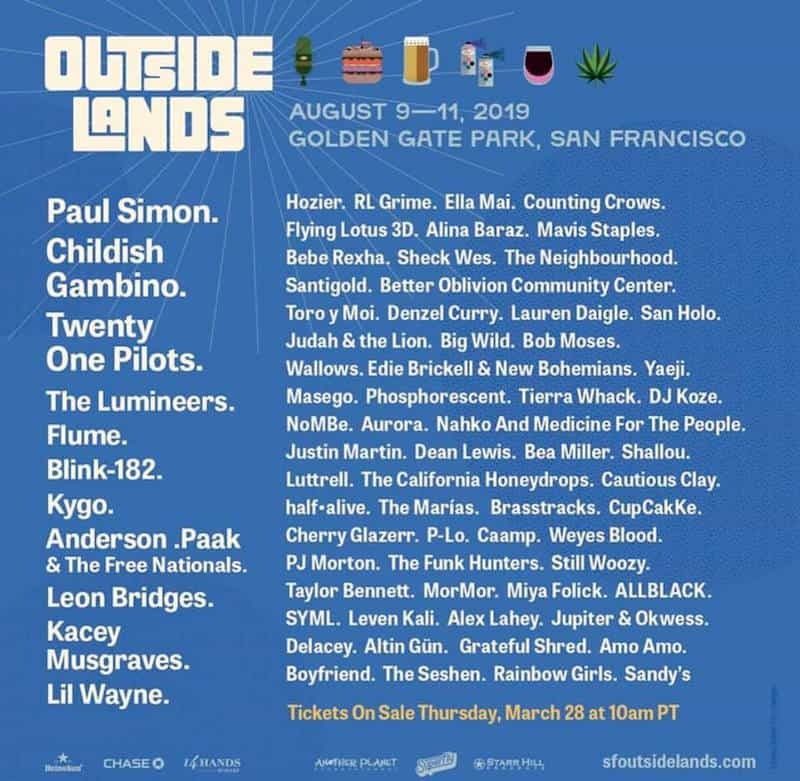 San Francisco’s Annual Mega Festival, Outside Lands, will take place from August 9-11, 2019. Enjoy 3 amazing days of music, food, cannabis, art, beer, wine and more in Golden Gate Park. This year’s headliners will be Paul Simon, Childish Gambino and Twenty One Pilots, while other amazing artists such as Flume, Blink-182, Counting Crows, Kygo and Hozier will be performing live.